Every automotive enthusiast has a special car they have dreamed about from a young age, and usually aspire to drive or own. Whether it was the fleeting sight of an evocative Jaguar E-Type speeding past, hearing the thundering roar of the Le Mans-winning Ford GT40, or growing up with an iconic Porsche 911 in the family, legendary cars such as these fuel our passion for all things motoring. 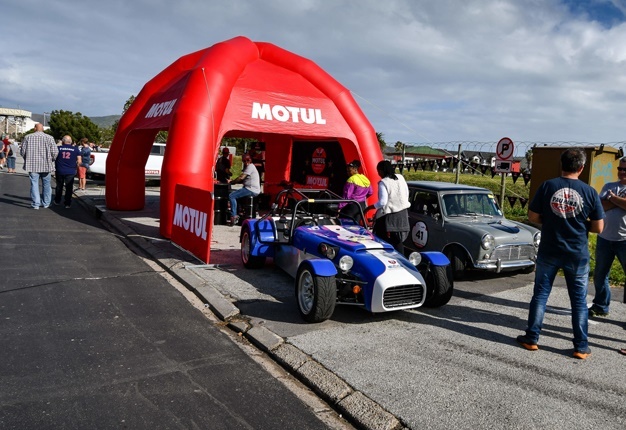 Now imagine all these fabulous cars, along with many more, not only being gathered at a single event, but also been driven to the absolute limit by some of the country’s top drivers. 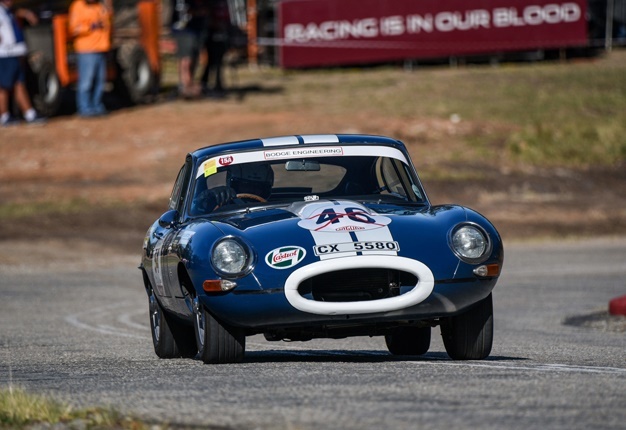 This is the peerless formula that has made the Jaguar Simola Hillclimb South Africa’s must-attend motoring event of the year! 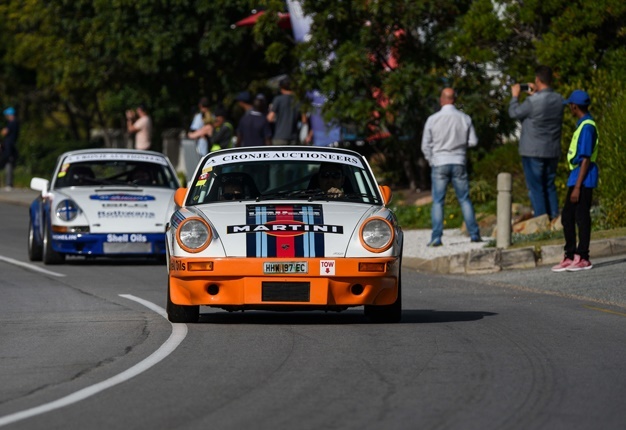 As South Africa’s premier motoring and motorsport lifestyle event, the Knysna-based Hillclimb is truly unrivalled for the show it produces, both for the competitors and the spectators that descend on the beautiful Garden Route town each year. The very successful format adopted for Friday’s action remains unchanged from previous years, with drivers given three practice runs and three qualifying runs up the 1.9km Simola Hill course. From the qualifying result, the three fastest competitors in each class proceed to the Class Finals - a single-run shootout that determines the final podium positions. Franco Scribante is the undisputed king of Classic Car Friday, having won this event four times in his immaculately prepared and exceptionally quick 1970 Chevron B19, powered by a 2.0-litre naturally aspirated Ford Cosworth BDG engine. It is entered in Class H5 for pre-1990 race cars, which encompasses sports cars, single seaters and GT cars. Scribante’s first win came in 2014, and he has taken the honours for the past three years in succession. His winning time in 2018 was 42.196 seconds, achieving an average speed from a standing start of over 162km/h! 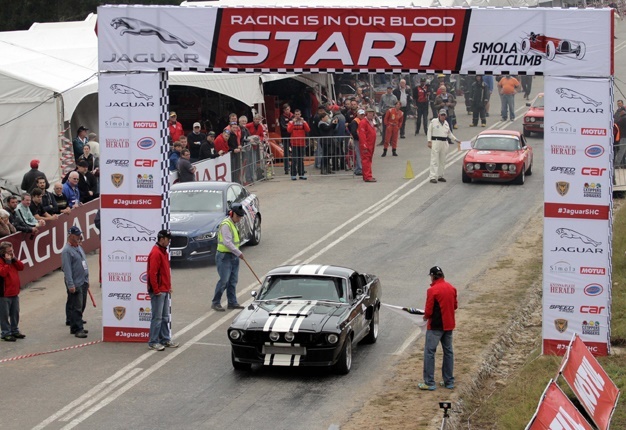 READ: A thrilling legacy inspires the Jaguar Simola Hillclimb in May 2019: it’s the 10th Edition! 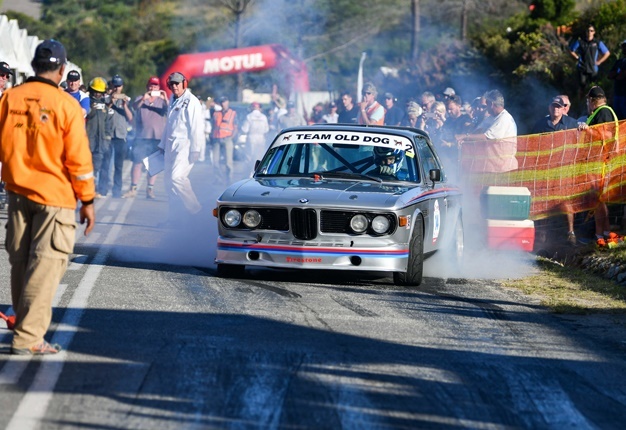 Prophetic words indeed, as Scribante will be facing a new but highly experienced rival this year in the form of Andre Bezuidenhout, who happens to be the overall record-holder with the fastest-ever time of 35.528sec at last year’s Jaguar Simola Hillclimb – albeit in the King of the Hill challenge. According to Lola heritage records, this T460 was one of 20 cars built in 1976 for Formula Atlantic racing in the UK, as well as the Formula B category in the US. The car was originally supplied to US agent Carl Haas who sold it to Tim Coconis for racing in Sports Car Club of America (SCCA) Pro and Club events up to 1979. While Coconis ultimately became Operations Director of the famous Skip Barber Racing School in the US, the Lola was sold into the UK and then imported to South Africa where it was fully restored by Steve Humble of Harp Motorsport. The Lola was part of the collection of Fred Phillips from whom Andre acquired the car earlier this year. 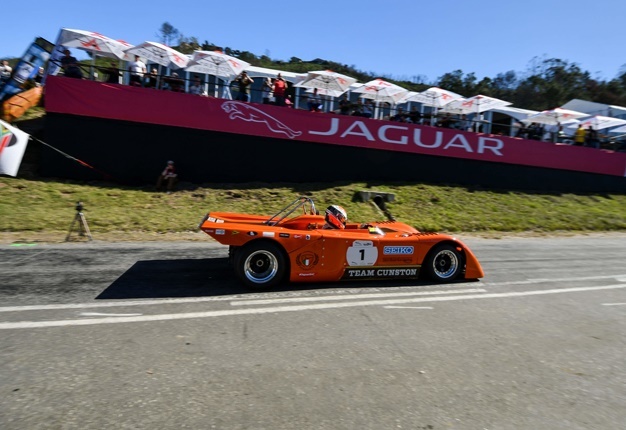 The 2019 edition of the Jaguar Simola Hillclimb takes place from 3 to 5 May.